Acquirers around the world enjoyed their best performance this year since the financial crisis began in 2008, outperforming companies not involved in M&A activity by an average of 4.7%, according to Towers Watson’s Quarterly Deal Performance Monitor. The study of completed M&A deals over $100 million, conducted in partnership with Cass Business School in London, shows that during 2013, North America acquirers outperformed those in other regions at 8.1% above the regional MSCI Index. This represented a significant turnaround from last year, when the region underperformed the index by 1.3%. Acquiring companies in Asia Pacific outperformed the regional index by 3.5% (compared to a 0.1% underperformance in 2012), while performance in Europe came in at 2.2% above the regional index (compared to 2.4% in 2012). “The big M&A story for 2013 is how well acquirers’ stock performed relative to that of non-acquirers across the three regions we track. And North America acquirers showed the most dramatic reversal, underperforming the index in 2012, then outperforming the index so strongly this year,” said Jim McKay, North America M&A practice leader at Towers Watson. North America continues to lead the other regions in terms of the volume of deals completed, with 375 deals over $100 million so far in 2013. This accounts for nearly 60% of the global total. Asia Pacific has overtaken Europe as the second-most active M&A region, completing 141 deals to Europe’s 104. As a result, for the second year in a row, Europe had the lowest number of completed deals in 2013 and its lowest level since 2009. The research also shows that in 2013, there were fewer megadeals (those over $10 billion) than in prior years. There were only four such deals in 2013, none of which occurred in the second half of the year. This marks the first time this has occurred for any six-month period in nearly three years. The data also show that in 2013, slow deals (those taking over 70 days from announcement to completion) performed better than deals completed rapidly (7.0% versus 3.1%). In addition, domestic deals (where the acquirer and the target company are both based in the same country) outperformed cross-border deals by 5.2%. Berkery Noyes, an independent mid-market investment bank, has released its full year 2012 mergers and acquisitions trend report for the Online and Mobile Industry. The report analyses M&A activity in the Online and Mobile Industry during 2012 and compares it with data covering 2010 and 2011. According to Berkery Noyes’ research, transaction volume increased four percent on a year-to-year basis and 37 percent relative to 2010. Total transaction value decreased 16 percent, from $76.73 billion in 2011 to $64.39 billion in 2012. However, this remained 49 percent above the industry’s aggregate deal value compared to 2010. The median revenue multiple improved slightly from 2.1x in 2011 to 2.3x in 2012, while the median EBITDA multiple declined from 11.9x to 10.8x. Oracle was responsible for two of the report’s top ten highest value deals in 2012. This included the acquisition of Taleo, a cloud based talent management provider, for $1.80 billion and the acquisition of Eloqua, a creator of marketing automation software, for $871 million. In the mobile application subsector, the number of transactions increased 18 percent over the past year. Transactions involving mobile consumer applications increased 34 percent, from 121 to 162, whereas those pertaining to mobile business applications rose seven percent, from 158 to 169. Meanwhile, volume in the E-Marketing & Search segment increased 44 percent from 2010 to 2011 and eight percent between 2011 and 2012. Much of this activity over the past two years highlights an interest in analytics and interactive marketing, as advertisers and others seek measurable results within targeted demographics. Accordingly, deal flow in the social media marketing subsector more than doubledsince 2011. In addition, M&A in the Online and Mobile Industry was positively impacted by acquirer interest in enterprise collaboration. Such solutions include file sharing and email application tools, many of which contain a social component. Along these lines, Microsoft acquired Yammer for $1.20 billion, LinkedIn acquired SlideShare for $72 million, and Salesforce.com acquired GoInstant for $70 million. M&A in the Communications segment, after rising 15 percent from 2010 to 2011, declined nine percent in 2012. The segment nonetheless saw strength in the mobile device management (MDM) subsector. MDM transactions nearly doubled over the past year, as a greater number of organizations begin to support personal devices in the workplace. “Given an increasingly mobile workforce, employees are clamoring for technology that will allow them to complete their jobs from any location while remaining connected with their colleagues,” added Mary Jo Zandy , Managing Director at Berkery Noyes. Mobile security also remains a concern when discussing bring your own device (BYOD) policies, which was highlighted by Citrix’s acquisition of Zenprise. A copy of the ONLINE AND MOBILE INDUSTRY M&A REPORT FOR FULL YEAR 2012 is available at the Berkery Noyes website. Berkery Noyes has released its first half 2012 mergers and acquisitions trend report for Private Equity in the Information Industry. The report analyses merger and acquisition activity in the private equity market for the first half of 2012 and compares it with activity in the four previous six-month periods. It features transactions made by financially sponsored acquirers within the Information Industry, including purchases made by subsidiaries or platforms of private equity firms. Berkery Noyes’ data showed that total volume increased two percent. Vista Equity Partners and Hellman & Friedman each had seven Information Industry transactions in first half 2012, making them the most acquisitive private equity firms by volume. Total value decreased eight percent, from $18.90 billion to $17.33 billion. M&A activity in the Health and Pharmaceutics segment rose 62 percent and reemerged as the largest vertical market segment tracked in this report. One of the most active related buyers was TPG Capital, which acquired iMDsoft, DecisionView, and PharmARC Analytic Solutions. Lifestyle and Entertainment, previously the largest market segment, leveled off by 21 percent in first half 2012. This came in the aftermath of a 46 percent improvement in second half 2011. Private equity M&A within the Software portion of the Information Industry remained flat throughout 2011 but increased 15 percent during the last six months. Three of the top ten overall Software deals in first half 2012 were backed by private equity firms. This consisted of Turaz’s announced merger with Misys for $2 billion, Apax Partners and JMI Equity’s announced acquisition of Paradigm for $1 billion, and GTCR’s announced acquisition of CAMP Systems International for $675 million. These deals together accounted for 21 percent of financially sponsored transaction value in the Information Industry. A copy of the FIRST HALF 2012 M&A REPORT FOR PRIVATE EQUITY IN THE INFORMATION INDUSTRY is available at the Berkery Noyes website – here. Berkery Noyes, an independent mid-market investment bank, has released its first half 2012 mergers and acquisitions trend report for the Media and Marketing Industry. The report analyzes merger and acquisition activity in the Media and Marketing Industry for the first half of 2012 and compares it with activity in the four previous six-month periods from 2010 to 2011. Total transaction volume increased six percent during the last six months, from 784 transactions in second half 2011 to 834 in first half 2012. Meanwhile, total transaction value increased 27 percent, from $24.88 billion to $31.51 billion. Despite this uptick, median enterprise multiples in the industry decreased. The median revenue multiple fell from 1.8x to 1.2x and the median EBITDA multiple declined from 10.0x to 7.8x. However, three segments had median revenue multiples of at least 2.0x: B2B Publishing, Broadcasting, and Exhibitions, Conferences, and Seminars. Marketing was the most active industry segment for first half 2012, accounting for 262 transactions and surpassing Internet Media in transaction volume during the last twelve months. Although Internet Media activity declined two percent compared to second half 2011, it remained 19 percent above its second half 2010 levels. In the Marketing segment, 47 percent of deals were Digital Marketing transactions, which represented a 10 percent improvement on a half-to-half year basis. WPP Group was the largest acquirer in the Digital Marketing sub-segment as well as the overall Media and Marketing Industry. The segment with the largest rise in volume in first half 2012 was Exhibitions, Conferences, and Seminars with an 85 percent increase. The median revenue multiple in the segment also increased 26 percent relative to first half 2011, from 1.9x to 2.4x. Consumer Publishing M&A rose 13 percent, improving for the third consecutive half year period. The segment was led in first half 2012 by Berkshire Hathaway’s acquisitions of Waco Tribune Herald, The Bryan College Station Eagle, and 63 daily newspapers from Media General. In addition, the B2B segment was responsible for three of the top nine deals by value and underwent a 10 percent increase in transaction volume. M&A volume in the Entertainment segment increased for the fourth straight half year, growing 24 percent in first half 2012. The largest related transaction in first half 2012 was Lionsgate’s acquisition of Summit Entertainment for $700 million. Video games, a sub-classification of Entertainment, rose 30 percent in first half 2012 and accounted for 62 percent of the segment’s deals. There was also a 50 percent increase in social gaming transactions during the last six months. The most notable social gaming deal by value was GREE International’s announced acquisition of Funzio, a mobile game developer, for $210 million. A copy of the FIRST HALF 2012 MEDIA AND MARKETING INDUSTRY M&A REPORT is available here. Fusion Corporate Partners are pleased to announce our latest deal, the sale of Econsultancy.com Limited to business information and events group Centaur Media plc. 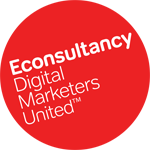 Econsultancy is a leading digital and events-led information provider to the global digital marketing and e-commerce community in the UK, with a growing presence in the USA, Middle East, Asia and Australia. Econsultancy’s revenues stem from subscriptions, events, training, professional qualifications and media. The company has approximately 110,000 registered users and approximately 5,000 subscribers. Centaur are paying an initial consideration of £12m in cash, with deferred consideration of up to £38m due in 2016, based on EBITDA performance for the year ending December 2015. The acquisition is a key part of the strategy to transform the Centaur Group into a predominantly digital and events-led business. The deal complements Centaur’s market-leading publications, events and digital services in the marketing, design and creative sectors. Decision Resources Group, a research and advisory firms focusing on healthcare insights and analysis, has acquired Pinsonault, a provider of markets-specific business and training solutions to the pharmaceutical and biotech industries. The acquisition will result in a significant expansion of Decision Resources Group’s Market Access Business Unit which currently includes Fingertip Formulary, HealthLeaders-InterStudy and PharmaStrat. Jim Lang, who was appointed President of the Market Access Business Unit at Decision Resources Group in January of 2012, will head up the integration of the Pinsonault brand. Pinsonault will remain headquartered in Mt. Olive, NJ. LexisNexis has acquired Portfolio Media, the parent company of Law360, an online provider of legal news and analysis for business lawyers, primarily in the United States. Law360 publishes breaking news and analysis with a particular focus on high-stakes litigation across more than 30 practice areas. This content is distributed through online daily newsletters that are read by over 100,000 law firm and business professionals ranging from litigators, corporate counsel and transactional attorneys to law librarians and legal administrators. “We are excited to have our premier legal news and analysis offering join the LexisNexis family. We see it as a great opportunity to extend our reach, expand our portfolio of content, and create new and innovative ways to deliver it to customers,” said Marius Meland, co-CEO and co-founder of Law360. Headquartered in New York City, Law360 was founded in 2004 by Meland and co-CEO Magnus Hoglund. They will continue to run the company as a stand-alone business, while leveraging the content and analytical resources and distribution of LexisNexis. Law360 distinguishes itself through the unique combination of speedy delivery of more than 130 original legal news stories daily, the journalistic standards of its experienced editorial team, and its content generation platform that tracks in real-time dockets and regulatory filings – enabling reporters to break major developments in litigation, deal making and legislation before anyone else.